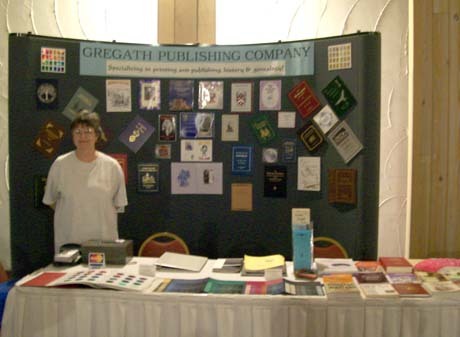 We were sorry to learn last week that the Ozarks Genealogical Society of Springfield, Missouri has been forced to cancel this year’s annual conference. We always have a great time with them, learn lots and get re-energized. We look forward to their plans for next year. For more information, see their announcement. *Backbone (see spine): Center edge of a book perpendicular to and between its covers. *Backing up: Printing a sheet after one side has already been printed. No new material under this subject in August – see Marketing for more.